Teak interior very cosy and great quality tipicoa feature of this site. 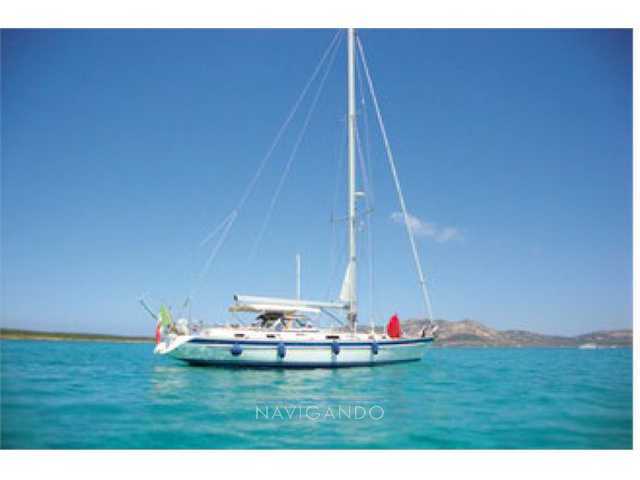 Three double cabins of where: aft with a pound separated and a private bathroom with shower toilets and sink. adjacent compartment for washing machine. Castle beds, cabins and cabins with double beds in the bow. and a private bathroom. Furling jib, hydraulic hydraulic furling main sail, furling mainsail with uprights, revision patarazzo 2011/12 code tightener plumbing including 0 gennaker, jib 4. Washing machine. Safety equipment. Cockpit table. Crusher garbage disposal, microwave, freezer. Boat in excellent condition. Currently in place for the maintenance aordinaria: polishing and tuning various fairing. Tutti i dati contenuti nella scheda della Used boat Halberg-grassy 53 ht sono stati inseriti dal venditore Navigando S.r.l.